Recently someone asked me to design an apron for his business. After some back and forth, I had a clearer idea of what he wanted and started thinking. 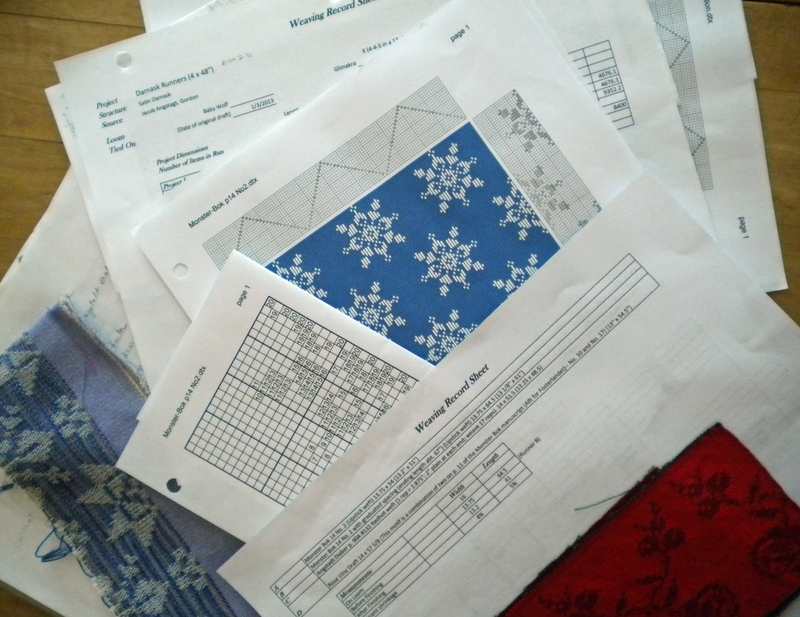 I pored over graphed motifs from Medieval textiles, paging through for something to start with. Then I worked on adapting the figures to what the customer wanted and what my equipment can weave. All this designing before a thread is woven. Design is a loaded word. A design can be a conspiratorial plot or a figure on a business card or a pattern for a dress. Design encompasses every art and craft form, every building plan, every graphic representation. There are whole college programs built around design–none of which I’ve taken. To be honest, design can be intimidating. That’s why I approach it through the back door. 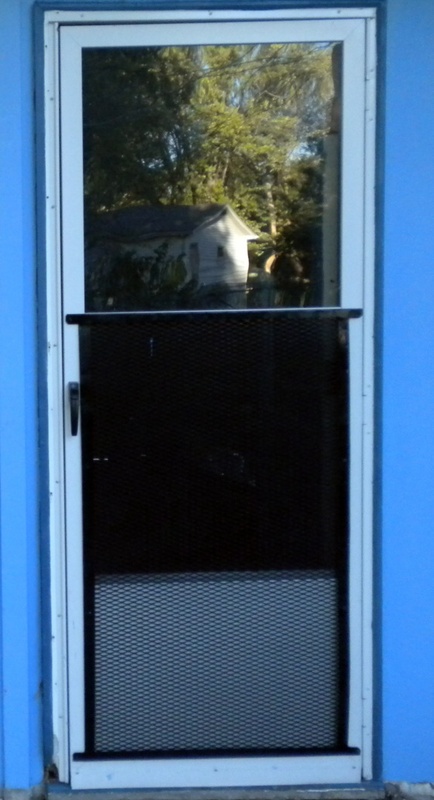 The back door is the service door. It’s the one used to bring in the groceries. It’s the door from the garden, the lawn chair, the grill. It’s the door the dog uses. The back-door path to design uses what is available and builds on that. It reads whatever books are on the shelf, takes whatever classes or workshops come up, researches techniques that might come in handy. Then when a challenge comes up, all the bits and pieces of design inspiration quietly come in through that back door, sit down at the kitchen table, and whisper that concept into reality. Design through the back door. How do you approach your design challenges? Last spring, during my week-long drawloom class at Vävstuga in Shelburne Falls, Massachusetts, the lovely, vibrant, intricate hangings on every wall made my heart sing. Reds, blues, golds, 8-pointed stars, crosses, and diamonds everywhere I looked. The hangings echoed the richly decorative weaving of Sweden. Some were in linen, some in wool. 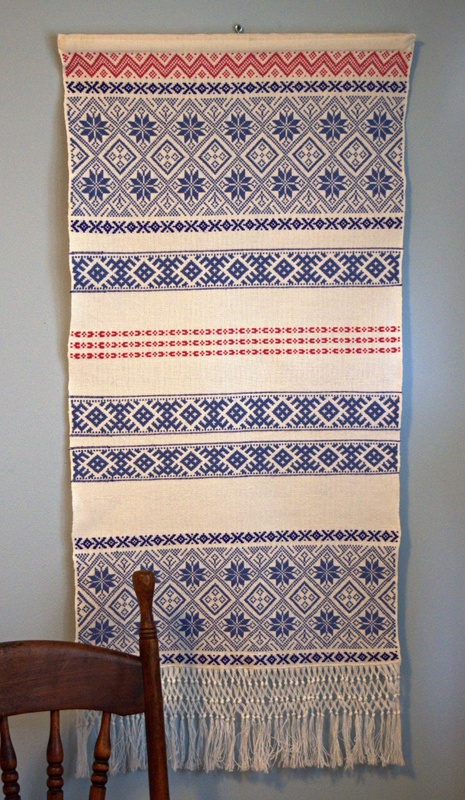 Some incorporated Monks Belt, some Smålandsväv, but many were woven in opphämta, a weave in which the heavier pattern floats over or under the plain weave ground fabric. 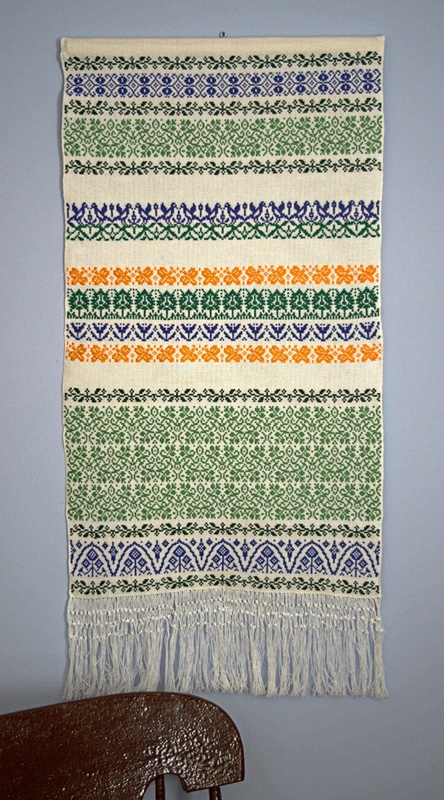 The motifs are old and found in many crafts besides weaving. All the way home, the patterns and colors played at the edge of my thoughts. How could I apply the techniques I’d learned to my own weaving? 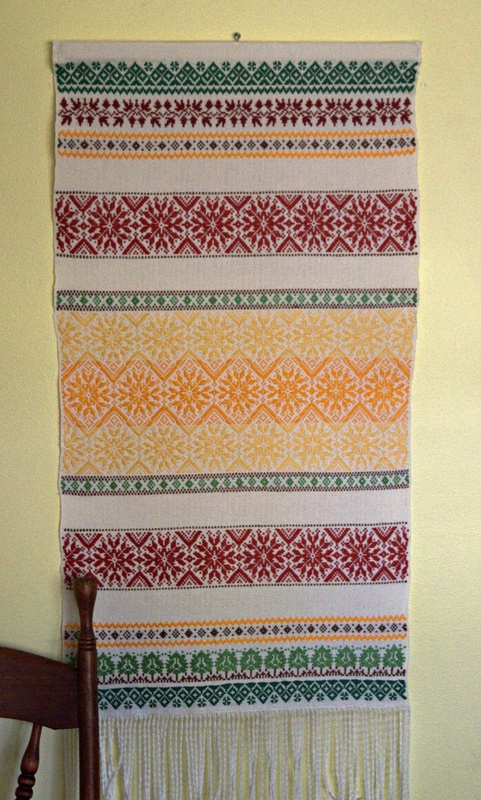 How could I adapt those traditional motifs to the equipment I have, the yarns on my shelf? That is, after all, why we go to classes and workshops—to learn new techniques. Finally, this summer I wound warp for four hangings without any clear plan on specific designs. I just wanted to try my hand at wall hangings like those I’d seen. The first hanging features blues and a few bands of rose. As the patterns grew, it spoke “winter” to me – blue, icy patterns on snow, rose colored sunsets. After that, the other three seasons just fell into place. “Spring” with bright yellow and red flowers and light spring greens, “Summer” with darker green vines and bluebirds, “Autumn” with acorns and oak leaves. The warp is 8/2 bleached cotton—I didn’t know if I was ready for the careful warping linen requires – next time. The ground weft is linen. 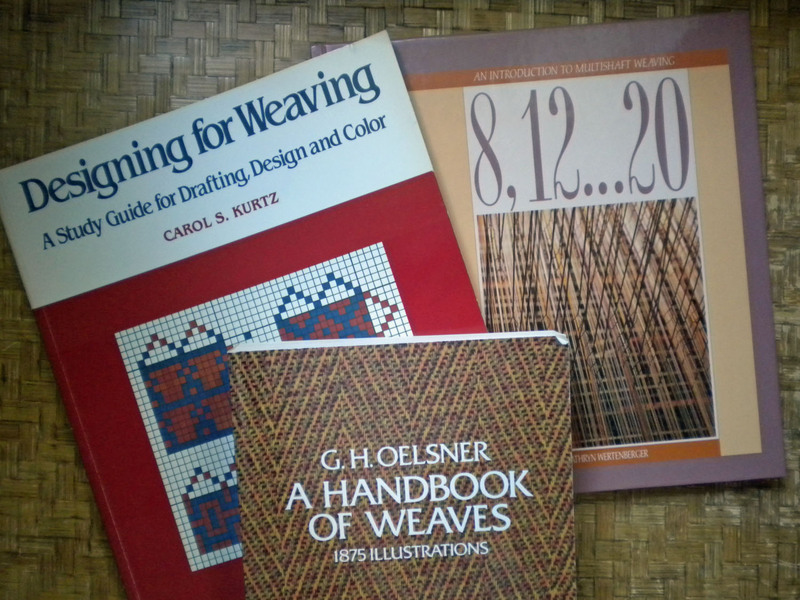 For weft, I used what I have on hand—some linen, some cottolin, some mercerized cotton. 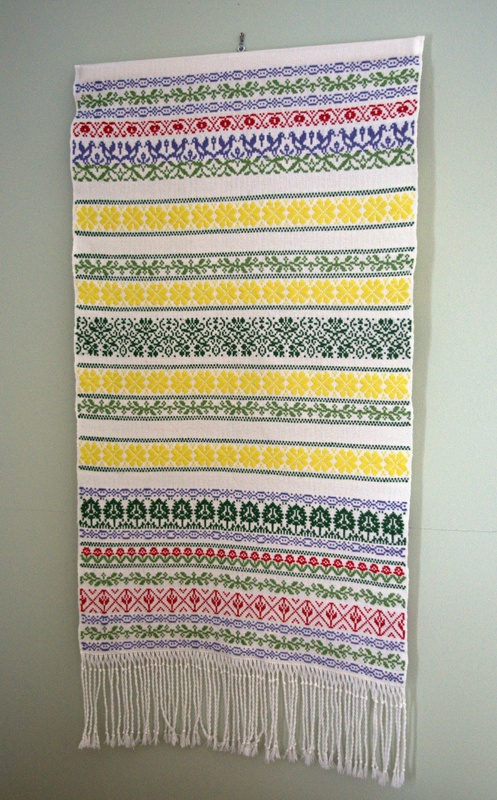 I used 17 pattern units on the drawloom threaded in a point which results in symmetrical motifs. Of course, as I twisted fringe and assembled the hangings, I already knew things I’ll do differently next time. There’s always a next time. That’s inspiration being put to work.